The web gaming is an important market, with great potential and space for new operators. Poker cash and casino games are ready to change the field, but we are waiting for the arrival of the virtual slots to complete the offer. “In Italy there are already 150 active operators in the online gaming with the Aams licence and another 30 operators will arrive very soon, but we think that there is enought space for everybody. We aim to the biggest opening of the industry but also to the biggest clearness”. This is the complete picture about the Italian online gaming given by Aams through Francesco Rodano, the person in charge for the online. A very active field, despite of the uncertainties come after the appeal made from Stanleybet against the announcement for the new licences. But the growth of the market “must be linked to the steady recovery of the illegal market”, Rodano specifies. The clearness starts from Aams that changed its working method: “Since some months we publish the data of all the online operators – the Aams manager explains – because it is important to keep the dialogue open in a growing market, so the new operators can have positive prospects for the future, safeguarding their investments”. 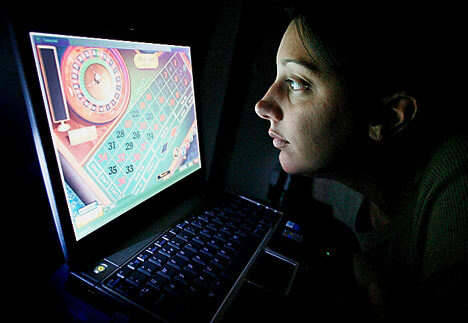 Regarding the “possible returns” of the field, Rodano reminds the ratio of the regulation: “We can’t think that the State wants to regulate the online gaming with the sole revenue aim because it is clear that in Italy the online gaming only represents 2% of the tax revenues of the public gaming and it would be neamingless to oppress the companies with the sole revenue aim”. The Italian market of the online gaming is surely a strategic field for the foreign companies and the Eig in Milan cleared this interest up, despite of there are still many things to develop with the arrival of the online slots. 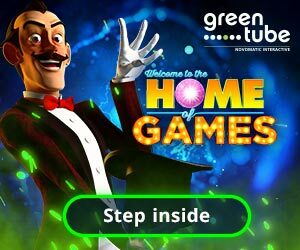 Fabio Angeli Bufalini of Betsson points out: “it is certainly a market that we can’t underestimate, because it is always a more attractive one and we are sure that poker cash and casino games will change the online, but we are also waiting for the arrival of the slot machines for a full offer”. Pier Francesco Geraci, ceo of 888.it, is sure that it is necessary to have the proper strategy to operate in this field: “We expect to do much good from the online in the shortest possible time. This is a very complex market, with many different products. There are those who focus on one product, those who focus on many products, we have a strategy which we hope will lead us to become leader in the field of the online casinos”. What is the public of the online casinos? “The target of casino players is one of the least clear of the world. It varies from the 18 years old boy with some money in his poket, to the 40 years old businessman with a high income, to the 70 years old swathed in furs Countess who goes to the casino to spent an evening. We expect a lot from the arrival of the slots, also if we are finding many obstacles to enter in this game”. Paolo Di Feo, Southern region director di bwin.party digital, thinks that “poker cash e casinò games complete the games portfolio managing to attract new parts of players also if it represents in some way a niche, compared to other products”. Gianluca Ballocci, interactive vice president of Lottomatica, tells some data: “39% of market share with the vegas Club casino games and 13,5% for poker. We are proud of these data. But it is clear that the trend of the online market could even be better if we are able to complete the games portfolio offered to the customers. To complete the offer – he adds – is not only aimed to the revenues, but it would permit to expand the market introducing other patterns and reaching new targets”. Slots and new customers, let’s start the autumn challenge – “We are having the expected results as concerns the raising, but during next months we must change. The “summer” players reached good also if now the challenge is to recover the active players before the summer and make acquisition”. This is the result of IziPlay about the first trial stage of the casino games offered on IziCasino: “Roulette is the main game, then we have videopoker, blacjack and all the kinds of table games”. After the Eig, the new games will be presented at Enada Rome: “It will be important to understand the new market trends, to see what the companies are making to improve themselves and to test the innovative products”. And about the wait for the debut of the slots: “We believe that they are important to complete the casino offer and to implement the moving of Italian players that still play abroad. Our provider has a good amount of already certified slot, so we are waitings for implement our revenue share”.